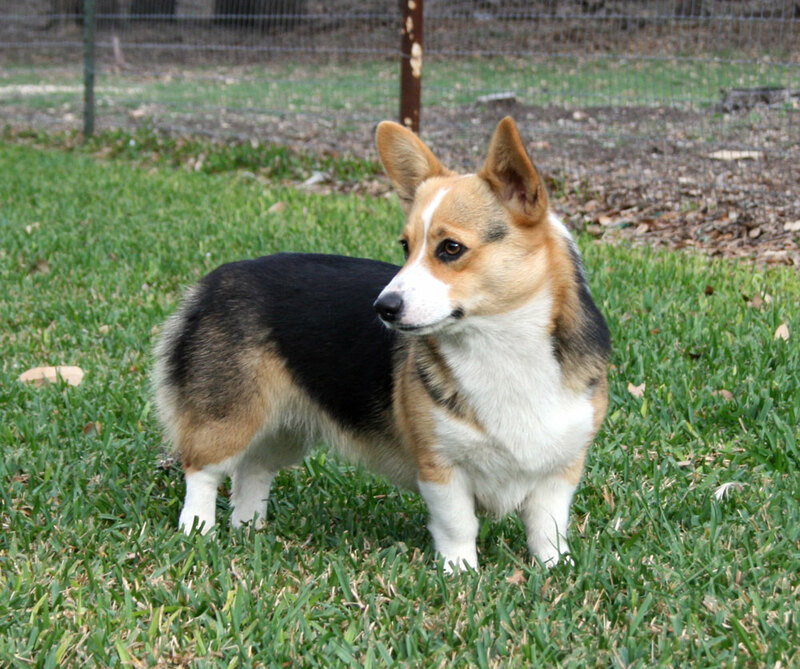 Maggie (Buck O Balas x Daisy Mae From Fredericksburg, Texas) is a beautiful sable with perfect white markings. 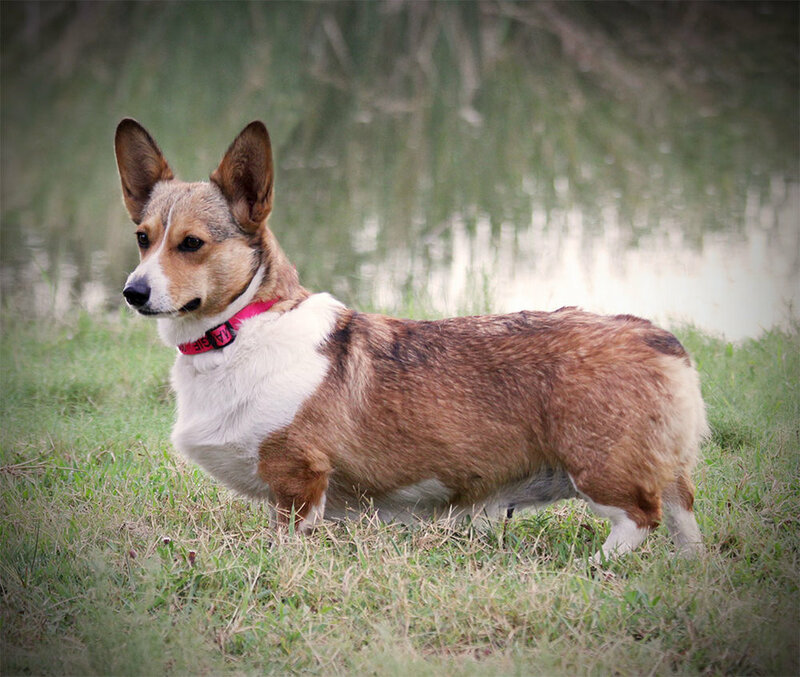 She was raised here at Hill Country Corgis, and she is just what we are looking for in the dogs we raise. She's sweet, loyal, smart, and a beauty. DM Clear, vWD Clear, EIC clear. Dotty (So Po Buckeye of Carolina x Madeit Molly Mae) is a retired red female, and is marked up with a lot of beautiful white on her neck and legs. 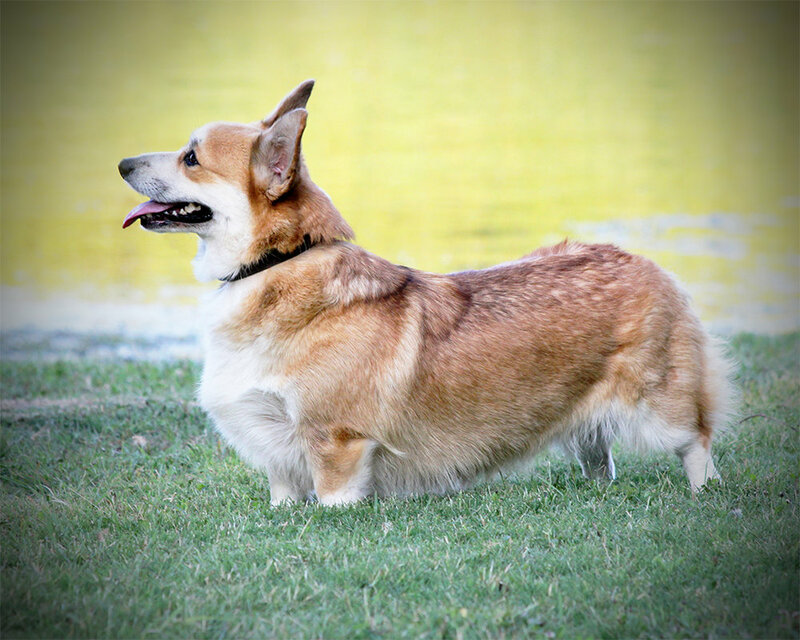 Dotty has been so special in our lives here at HillCountry Corgis and deserves a very special retirement. 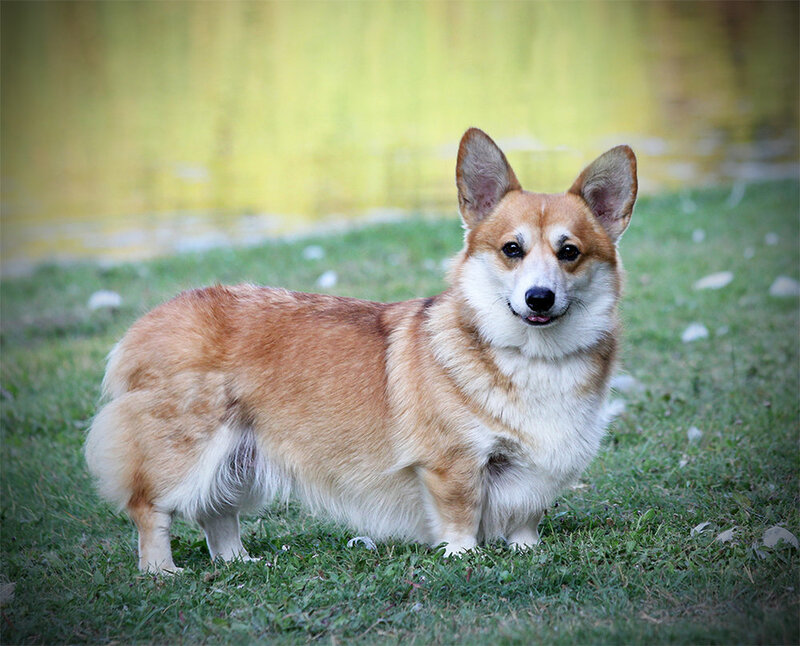 She has gone to live with Polly and Bob,to become a therapy dog with them and the patients that they council. She will love her new ‘job’ and everyone will love her. love, and now she has gone to live in the country with Dorothy to be an only dog and get complete attention. She’s always been such a happy girl and we are so pleased about her new home. Lola (Loharano Turn Up Da Mic x Luann's Bag O Trix) is a sweet family dog that likes her time out with the horses and cows too. 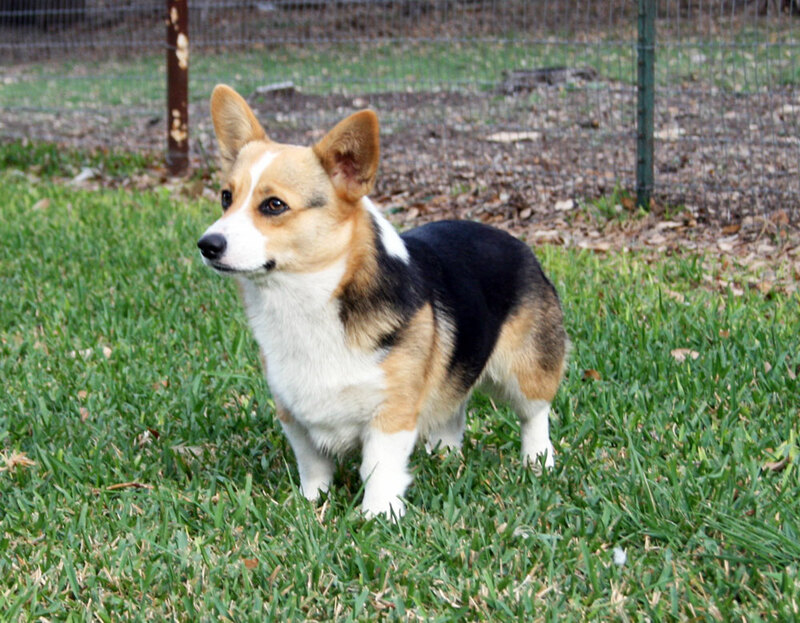 She is a black-headed tri and has been with us since she was a puppy. Her temperment is very kind around children, adults and other dogs, but she means business when she's out working cattle. She is no longer used as a breeding female. She is just a family dog that is helping raise our grandchildren. Molly (Primrose Rici It's My Turn x Brave Ruby Mae) is a red female with a big thick white collar. 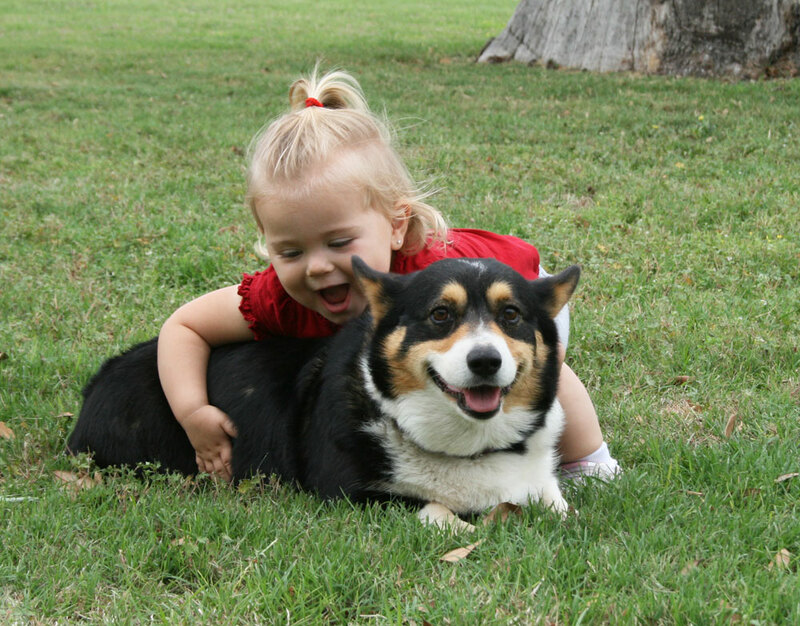 Her eagerness to please is a trait of my corgis. Molly is now retired as a breeding female, but still keeps all the other dogs in line around here.